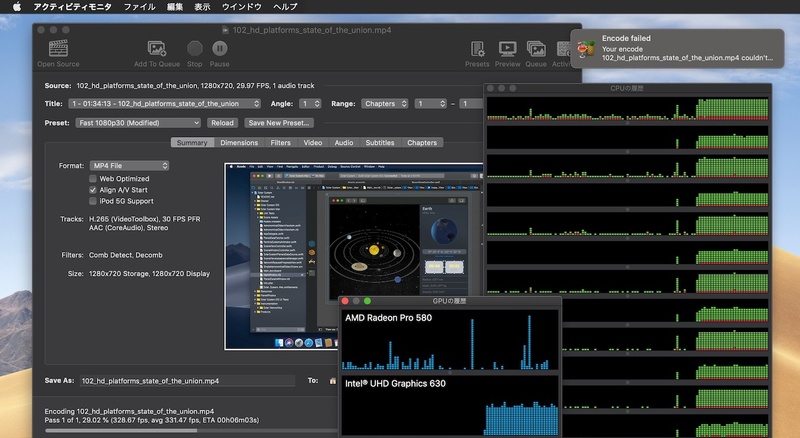 H.265/HEVCのH/Wアクセレーションやダークモード、Touch Barなどをサポートしたトランスコーダ「HandBrake v1.2」が正式にリリース。 | AAPL Ch. 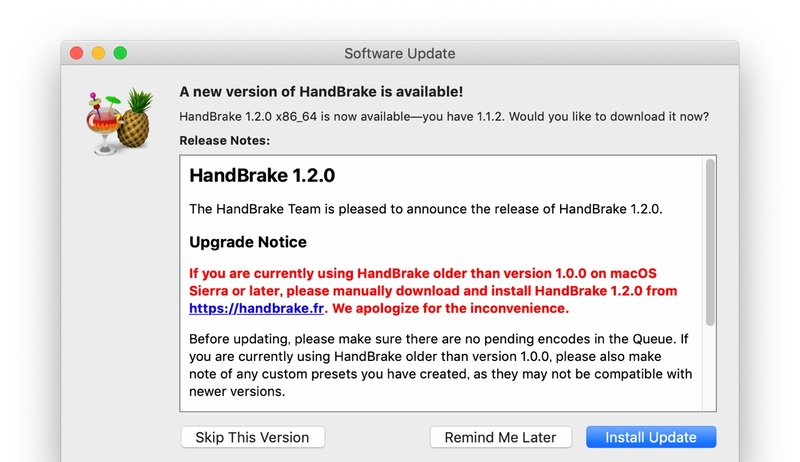 The HandBrake Team is pleased to announce the release of HandBrake 1.2.0. 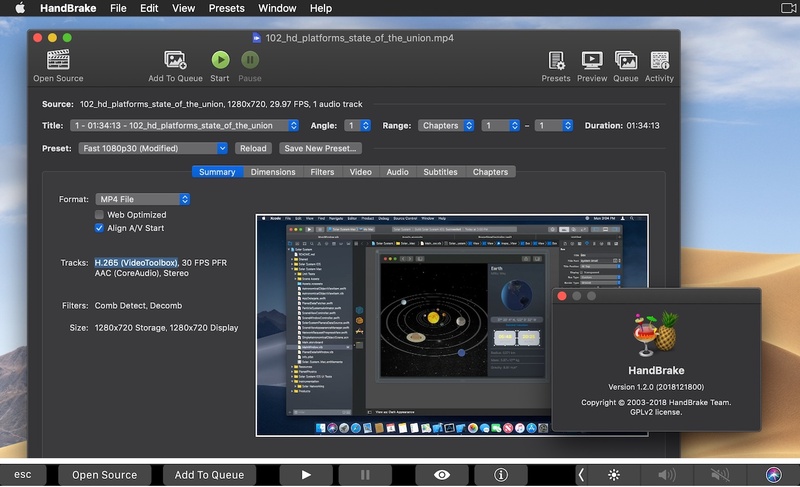 This release includes improved support for opening sources previously unreadable; new official presets for Amazon Fire and Google Chromecast devices; AMD VCE, Nvidia NVENC, and Apple VideoToolbox hardware-accelerated video encoding; Touch Bar support on macOS; Dark Mode support on macOS 10.14 Mojave; initial localization support on Mac and Windows including German translation; and much more.